The 1 Minute Silver Lotto System which is just the Silver Lotto System revised, that has already been proven by so many to not work! If you have tried and tested this Silver Lotto System, you would know there is a serious amount of false hype surrounding this system, that make ridiculous claims of winning the lottery 9 out of every 10 games or a 98% claimed win rate. If you look at the numerous so-called good review on this system by Ken Silver you would see that most every single review is by an affiliate selling or promoting the system trying to earn commission, so these reviews are all FALSE! We Googled the 1 Minute Silver Lotto System and Silver Lotto System Review and seen on search page 1-6 most every single review was by someone selling the system, they all gave an affiliate link and then reviews that just sent you straight to the Silver Lotto System main site with no affiliate link, these were reviews written by most likely Ken Silver. Many of these same reviews have the same IP address which most people will not know, but it means many of these reviews are by the same person, so again all FALSE! We have tried the Silver Lotto System in the past, as well as many others have and the results are always similar, No Wins! Where is the 98% win rate? That is all just made-up to sell a B.S system, Ken Silver even states, he has just made up his own systems. Did you know Ken Silver is nothing more than a publisher who claims to be a lottery expert, give me a break, Ken Silver is far from being a lottery expert, what he is, is an expert on writing false advertising to get your money. Also never expect to get a refund even though it says guaranteed, this is also False and has been reported by many people! If you check out just about every lottery system review site you will see they ALL warn you about Ken Silver and his Silver Lotto System as it is full of B.S. 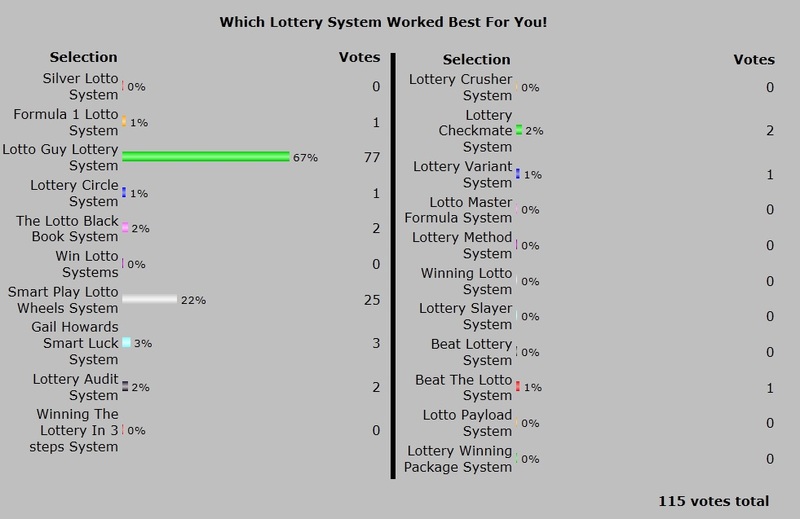 Here is real proof of which lottery systems are winning lottery games, note Ken Silvers System (Silver Lotto System failed yet again) Not my opinion, just real solid facts/proof as polls do not lie! If Ken Silvers Silver Lotto system actually produced a 98% win rate, it would be rated very high with the best systems, but it simply did not even make it in the top three winning lottery systems. We get comments on this Silver Lotto System all the time, stating it is a ridiculous system and Ken Silver is a shady seller and now this is backed up by many lottery system review sites, so it is very clear that this system does not work as advertised, you have been warned! Plus many other review sites, but you see what I am meaning. So to re-cap the Silver Lotto System, also the 1 Minute Silver Lotto System is not the system Ken Silver makes it out to be, lots of false advertising, hype and yes lies! So does this system work to win the lottery 9 out of 10 games Hell No! 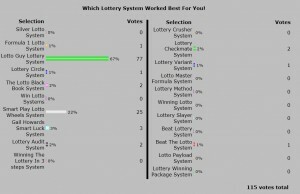 Get a real verified winning system as shown on the poll results (Google to find the top system you want), then you will have a system work using to increase your chances for real to win the lottery. Hope we have saved you some precious time and expense by revealing this insider lottery information. Use a good winning system get good winning results see Smart Play. This entry was posted in Lottery and tagged 1 minute silver lotto system, ken silver lotto, Silver Lotto System, silver lotto system review by admin2. Bookmark the permalink.